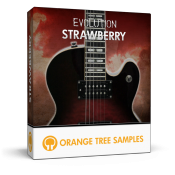 Orange Tree Samples has been perfecting its electric guitar library for over a year. In that time we have made numerous advancements, combining state of the art sampling techniques, extensive articulations and complex, but easy to use scripting. Well, we are proud to announce the next generation of sampled guitar, Evolution Electric Guitar.